Celebrate Hackbright Academy’s Winter 2015 graduating class of software engineers at Dinner & Demo Night! Let’s celebrate! We’re excited to introduce another group of bold, inspiring and brilliant software engineers to the tech world. Join us at Dinner & Demo Night next Tuesday, March 31, 2015, to honor the Winter 2015 cohort’s completion of the 10-week software engineering fellowship and the beginning of their new careers in tech. The night will include food, drinks, good conversation and project demonstrations by the recent graduates. Read about a few of the fellows and the creative projects they will be presenting below! Anne Vetto was a research assistant at UCSD who helped disprove skeletal muscle and mitochondria as primary contributors to the disease mechanism of amyotrophic lateral sclerosis (ALS). Upon discovering the creative power of programming, Anne decided to pursue a career in technology so that she could combine her neuroscience background and creativity in an innovative, risk-taking industry; a main motivation of hers is to foster young girls’ interest in science and technology. Away from her code, Anne can be found solving problems at the bouldering gym and window shopping avant garde 3D-fabricated fashion. Erin Yaylali was the first employee at DoorDash, a logistics startup backed by Y Combinator and Sequoia Capital. 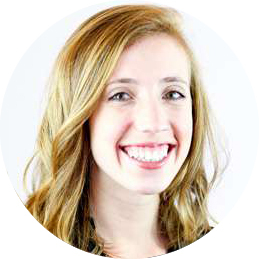 In just one year, Erin helped grow order volume by 20x and scale the company from 5 to 50 people leading growth and managing the Merchant Operations team. While working with engineers on product, she became intrigued by software development and started taking on small coding tasks. She quickly became addicted to the challenge and fulfillment of programming and decided to go all-in by attending Hackbright. 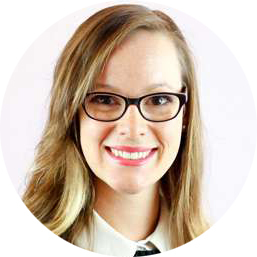 Before DoorDash, Erin was a Business Analyst at Abercrombie & Fitch, Research Analyst at Deutsche Bank, and studied Economics during undergrad. 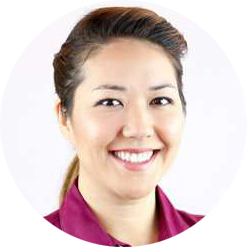 She’s passionate about changing the real world with technology and building empowered teams. Follow her on Twitter @eyaylali. Kristen Borges comes from a career as an artist in film visual effects (VFX), where she loved the challenge of making virtual objects look real using a careful brew of pixels and numbers. Though she entered the field with no formal training in VFX, she quickly learned that she loved the digital tools that allowed her to solve creative puzzles more efficiently. Every project presented new challenges, and she repeatedly picked up new tools and technologies under the pressure of film industry deadlines. Kristen enjoys the intersection of the creative and the analytical, particularly the task of translating between artists and the developers who make tools for them. She joined Hackbright to learn how to build cool things. 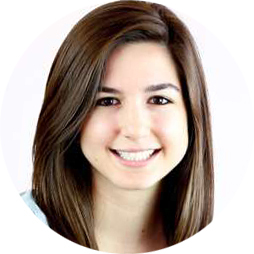 Eleanor Stribling was most recently a senior member of the product team (and 17th hire) at TubeMogul, an ad tech startup. She played a pivotal role in TubeMogul’s transition to a SaaS company before its 2014 IPO, leading marquee projects to integrate private inventory, generate ad tags to measure viewable data on the fly, create and target surveys, and redesign significant portions of the UI. 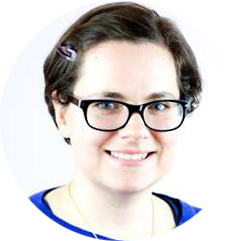 Eleanor has also worked with client services, research and communications at MIT, Millward Brown Digital, the Corporation for Public Broadcasting and Government of Ontario. She is a graduate of MIT Sloan School of Business and University of Toronto for her B.A. in Political Science. Follow her on Twitter @eleanorstrib. Nicole Ziemlak decided she would become a writer after her high school principal strongly suggested she major in math in college. Fortunately, the critical analysis needed for literary study also came in handy while acing formal logic courses, teaching high school World Literature curriculum, and leading GRE exam prep classes for Kaplan. Nicole finally landed in account management for a small tech non-profit in San Francisco, where she realized her brain could be put to much better use building tools for organizations working to change the world. During her career in software engineering, she plans to create a mobile app, master vim, teach other young women to code, and (most importantly) adopt a puppy. Follow her on Twitter @imnikkiz. 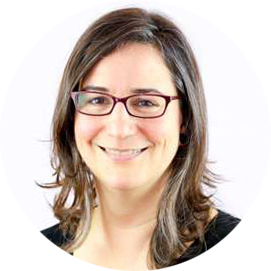 Liz Acosta, with a visual and editorial background, specializes in a holistic, adaptive approach to collaborative problem solving. She was trusted as the social media voice for a startup brand, ghost written for a famous blog, run her own wedding photography business, and single-handedly saved a major film festival. At Hackbright, she merged her understanding of social media with her love of beautiful data, using the Twitter API to build comparative and interactive D3 visualizations. 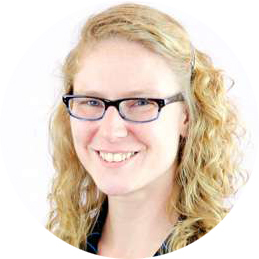 Hayley Denbraver has a background in Structural Engineering and is a licensed Civil Engineer in the state of California. In her last job with a structural firm, Hayley worked on a variety of projects ranging from upgrading hospitals to meet new structural seismic standards, to designing post tensioned concrete slabs for new hotels, to the comprehensive structural design of radiation treatment bunkers. Hayley became frustrated using “black box” software to perform calculations, compared to her time at grad school where she had written programs to solve engineering problems. Her desire to dig into the details and understand a problem from the inside out will serve Hayley well as she launches into a new career as a software engineer. Follow her on Twitter @runningwendybird. Daria Garina was a Project Manager at the the Philip R. Lee Institute for Health Policy Studies. Implementing research from drawing board to data analysis taught her to work successfully with systems and many moving parts. Driven to connect people to useful data, she began learning to program on her own. Hackbright offered Daria the opportunity to expand her technical skillset and bring her ideas to life. Daria is looking for a Junior Dev position where she can utilize and strengthen her knowledge while tackling problems across the stack. In her off time, Daria swims, dances and explores the California coast. 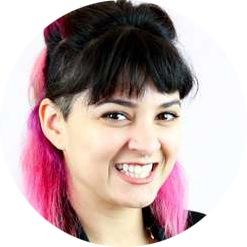 Sara Martinez came to Hackbright from a career in media. 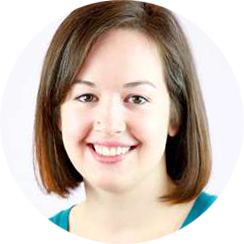 As an interactive designer and producer for the Milwaukee Journal Sentinel, she made news come to life online and created engaging experiences for readers. She earned her Master of Science degree from Northwestern University’s Medill School of Journalism and a Bachelor of Arts from Marquette University, where she is still an adjunct professor and adviser. Her love of teaching and learning is apparent when she hosts weekly trivia at a Milwaukee pub. 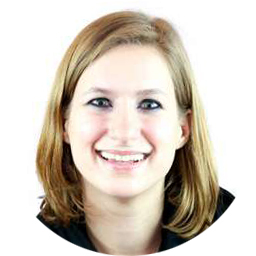 Sara comes to software development with a focus on user-centered design and creative presentation of news. 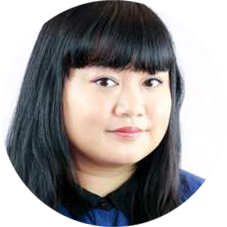 She strives to make awesome things happen and to improve accessibility of information. Follow her on Twitter @SaraMartinez. 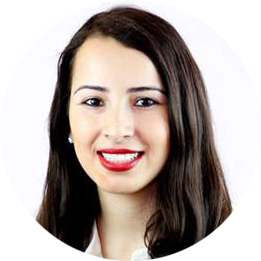 Gaby Andrade was a digital marketing associate managing Google AdWords campaigns and Search Engine Optimization (SEO) efforts for six diverse businesses, Gaby saw that much of the efforts and funds directed at online advertising campaigns could be avoided by building better websites. To prove this, she volunteered to create a new website for a business owned by her previous employer, an endeavor which resulted in a 50% increase in visits to the site. 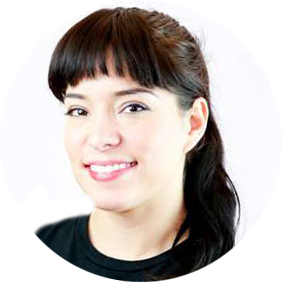 This experience piqued Gaby’s interest in web development and motivated her to apply to Hackbright Academy. Gaby is excited about the prospect of using technology to solve both business and social issues. In her spare time, she likes to read, discover new Peruvian restaurants, and road bike. Follow her on Twitter @gabygandrade. Edna Cao nurtured her interest in the intersection of art and technology through studying printmaking and electronic music at UC Santa Cruz. It was here that she fell deeply in love with her Arduino and Max/MSP and never looked back. Before coming to Hackbright, Edna managed relational databases for large museums in both San Francisco and Los Angeles, including the de Young, MOCA and most recently LACMA. Learning to code has been particularly exciting for her, since she dreams of becoming a natural language polyglot (she has learned five languages), and now has several programming languages under her belt. Jolene Hayes has a long history of strategic planning, building cool things, and pushing innovation. She credits her background in Finance with laying the foundation of a critical mind. She spent her first five years out of graduate school as a business and strategic planning consultant where she became an expert in the art of the “the pitch.” She later transitioned into the non-profit world. During her time at the SPCA of Northern Nevada, her Executive Director tasked her with building five new animal welfare programs – with no employees and no budget. Those programs still run today. Recruited by Muttville Senior Dog Rescue in 2012, Jolene was charged with laying the operational infrastructure for their new shelter. She later designed and leveraged non traditional technologies in the volunteer management program, allowing her to single-handedly manage an active volunteer corps of over 500 people. Using technology to multiply her work efforts in the non profit world piqued her interest in programming. Follow her on Twitter @JCHayes. Yanare “Yena” Ku found herself drawn to sleek websites with snappy functionality and beautiful design. As an artist, she built a small number of personal websites before later discovering she was intrigued by the work of the engineers around her while working at a small mobile gaming company. 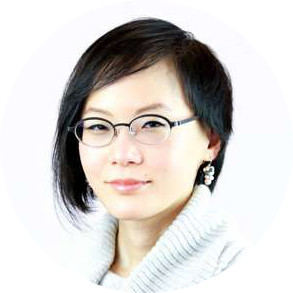 Enamored by how they seemed to be the ‘glue’ that brought all the various pieces of a product together, Yena embarked upon her Hackbright adventure not long after. Though she has an eye for visuals and aesthetics, seeing how things worked ‘under the hood’ excited her, making her eager to learn all aspects of engineering from front-end to back-end. Follow her on Twitter @TinyLuri. Amanda Gilmore once handled subscriber accounts at an industry-standard fine art database. Finding that technical problems were interesting to isolate and solve, she taught herself how to use MS-SQL and applied for a position on the QA engineering team. 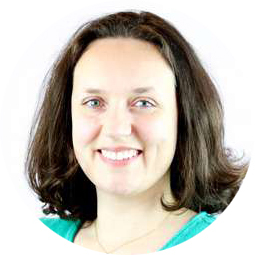 Her experience as a QA engineer working with both clients and end users has helped foster a people-centric approach to programming, and she enjoys working in Agile settings. After years of analyzing and testing web applications, Amanda decided to start making them instead and applied to Hackbright to kickstart the transition. Although coding has always been an interest for her, Amanda also enjoys long hikes in the Bay Area’s many nature reserves and playing Irish folk harp. Follow her on Twitter @ms_headdesk. Taylor Hesselgrave worked for five years as an ecological economist doing research and analysis at a nonprofit think-and-do-tank. It was in this role, often working in concert with the development team, that Taylor was exposed to and enticed by the serious power of programming. With new vision, Taylor committed to uniting her love of data with her natural talent for languages by joining Hackbright. Capable of working across the stack, she finds backend development particularly compelling. 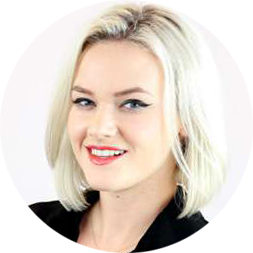 Next, Taylor intends to expand and contribute her engineering skills by joining the team of a solid and innovative SF tech company doing meaningful work. Follow her on Twitter @taygrave. 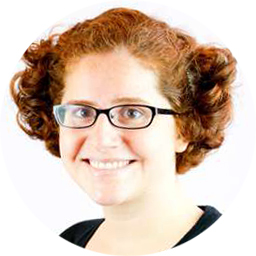 Sarah Bindman was interested in solving urban challenges through data analysis, modeling and creative problem solving across the public, private and non-profit sectors as a transportation planner. After seeing the innovation occurring in the tech sector, Sarah decided to attend Hackbright to equip herself with better tools for solving complex problems. Sarah hopes to use her new software skills to make a positive change in the world. 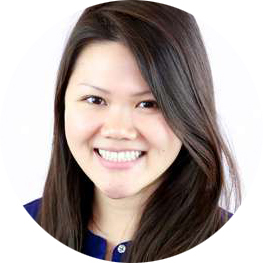 Alice Tsao comes from a background in Finance with four years of experience in both project finance and banking. She was responsible for managing program budgets with extensive expenditure reports and generating project forecasts to consolidate into a business area P/L. During this time, Alice found that manipulating and evaluating large sets of data through the use of macros was one of the best parts of her day. This led her to join Hackbright to leverage her analytical abilities to build her own programming solutions to complex challenges. In her spare time, she enjoys looking for flight deals to foreign places, making weird flavor cream, and writing (700+) Yelp reviews. Holly Malm moved to the Silicon Valley in July to work as a technical recruiter for a firm in Mountain View, where she discovered a curiosity for coding and technology. After learning some Python and Ruby on her own, Holly applied to Hackbright to launch her career as a full stack software engineer. Her love of programming is augmented by her strategic and critical thinking skills honed while attaining her MBA and MA in English. She spent the last four years teaching at the University of Northern Iowa and working within the university’s business department to help students develop their soft skills such as writing and presentation. Holly is looking for an opportunity to learn and grow as a backend or full stack Python developer creating tools the solve real world problems. Follow her on Twitter @btigercl. 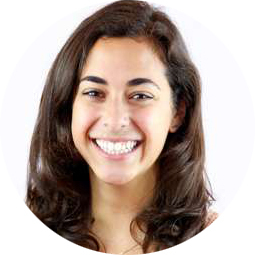 Sara Falkoff came to Hackbright with a background in project management, marketing, and customer service for startups, where she worked closely with distributed teams of designers and engineers to create internal tools and customer facing products. Determined to help solve the tickets she was creating for her team members, Sara began teaching herself to code and was quickly hooked. As someone who often jokes with friends that her biggest fear in life is complacency, Sara is incredibly excited to enter an industry where the only constant is change. When she’s not writing code, you can usually making jam. Follow her on Twitter @SaraFalkoff. Roxana del Toro graduated in economics from Cal, traveled and worked in nonprofits and hospitality, and then decided that she needed even more technically challenging work. She decided to pursue a masters in data analysis – which requires programming. The more Roxana learned to code in preparation for grad programs, the more she realized that building things is fun; the decision to continue in engineering was an easy one. After a year of studying CS at SFSU, Roxana had two back-to-back internships in software engineering and a simultaneous fellowship in entrepreneurship in Silicon Valley. 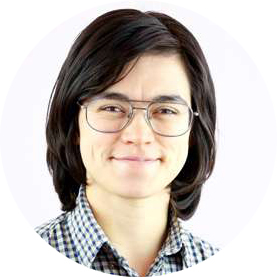 Roxana still enjoys the study and applications of behavioral economics, family time, crossing off SF restaurants on her “to-eat” list, and hopes to finish a CS degree during her time outside of work. Follow her on Twitter @rxdt.